Minecraft Wiki is an online, public collaboration of information centering around the game, Minecraft from Mojang. All information contained on this website is provided by the voluntary efforts of individual players and groups working to develop a comprehensive information resource for all Minecraft fans to use and enjoy. This website is an open wiki. It allows anyone with access to the Internet to create and alter its articles and content. Please note that articles and information found within this wiki have not necessarily been reviewed by members of the game's development team, employees of Mojang, or its licencors, or those of Wikia.com. Although much of the information presented on Minecraft Wiki will be accurate and up-to-date, Wikia cannot guarantee the validity and quality of the information. It should be understood that the content of any article may be modified or changed at any time by any member of the community. It should also be understood that any wiki page has a risk of becoming vandalized or improperly altered by users. While members of the Wikia.com team can and do access Minecraft Wiki, it should be understood that all articles cannot be officially reviewed at all times. Our community of editors use resources such as the Special:Recentchanges and Special:Newpages feeds to monitor new and changing content. It should be clearly understood that Minecraft Wiki is not consistently reviewed by official Wikia.com staff. 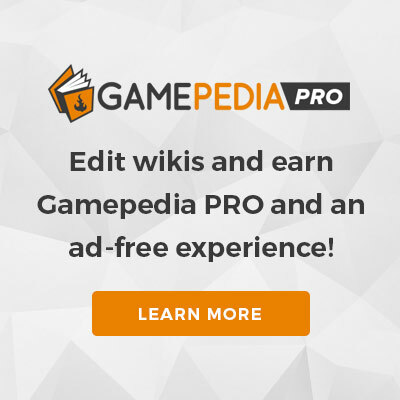 While all Wikia.com employees may correct errors or engage in casual peer review, they have no legal duty to do so and thus all information read here is without any implied warranty of accuracy for any purpose or use whatsoever. Due to open community access to Minecraft Wiki, even articles that have been reviewed by official employees of Wikia.com may later have been edited inappropriately, changing their original content. None of the contributors, sponsors, administrators, developers, or anyone else connected with Minecraft Wiki in any way whatsoever can be held responsible for the appearance of any inaccurate or libelous information or for your use of the information contained in or linked from these Web pages. By using Minecraft Wiki, you confirm that you understand that the information provided here is being provided freely, and that no kind of agreement or contract is created between you and Wikia.com, between you and the users of this site, or between you and anyone else who is in any way connected with this project or sister projects subject to your claims against them directly. You are being granted a limited license to copy anything from this site; it does not create or imply any contractual or extracontractual liability on the part of Minecraft Wiki or any of its agents, members, organizers, or other users. There is no agreement or understanding between you and Minecraft Wiki regarding your use or modification of this information beyond the CC BY-NC-SA 3.0; neither is anyone at Wikia.com responsible if any contributor should change, edit, modify, or remove any information that you have posted on Minecraft Wiki. Any of the trademarks, service marks, collective marks, design rights, personality rights, or similar rights that are mentioned, used, or cited in an Minecraft Wiki article are the property of their respective owners. Their use here does not imply that you may use them for any other purpose other than for the same or a similar informational use as contemplated by the original authors of these articles under the CC BY-NC-SA 3.0 licensing scheme. Unless otherwise stated, Minecraft Wiki is neither endorsed nor affiliated with any of the holders of any such rights, and as such Wikia.com cannot grant any rights to use any otherwise protected materials. Your use of any such or similar incorporeal property is at your own risk. It should be understood that Minecraft content and materials are trademarks and copyrights of Mojang or its licensors. All rights reserved. This site is a part of the Wikia.com network of websites and is not affiliated with Mojang. Bu sayfa son olarak 15 Ocak 2019 tarihinde ve 23.42 saatinde düzenlenmiştir.